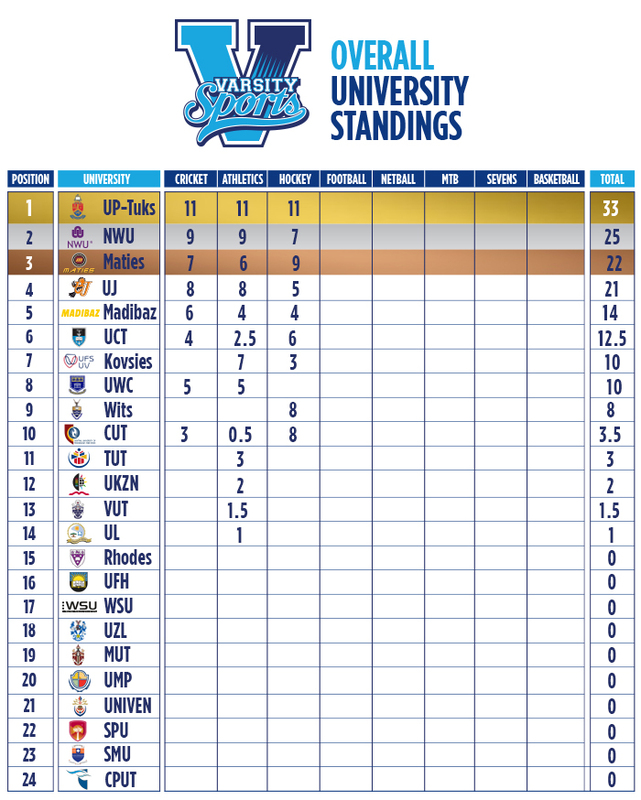 In 2018 Varsity Sports introduced an overall standings table. 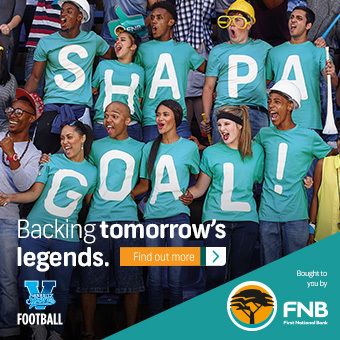 At the end of the year one university will be crowned the overall Varsity Sports champion based on their success across every Varsity Sports sporting code and the Varsity Cup competition (including Varsity Shield). A total of 17 points are awarded to the winner of every tournament, with the runners-up receiving 15 points. Thereafter each team receives one point less than the runners-up in descending order on the final log standing for that sports code. Third place will receive 14, fourth place receives 13 and so on. 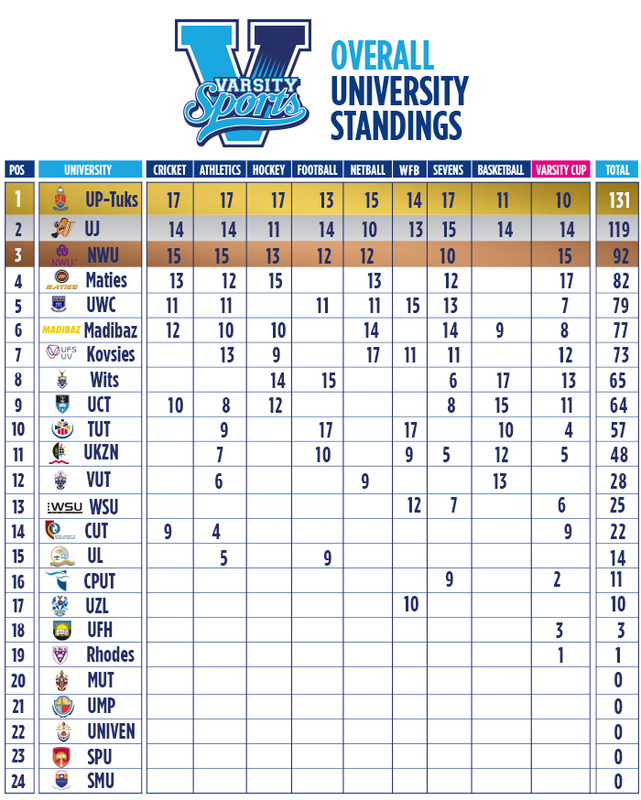 Keep an eye on the overall table and support your university as Varsity Sports looks to crown South Africa’s best sports university in the country for the first time!